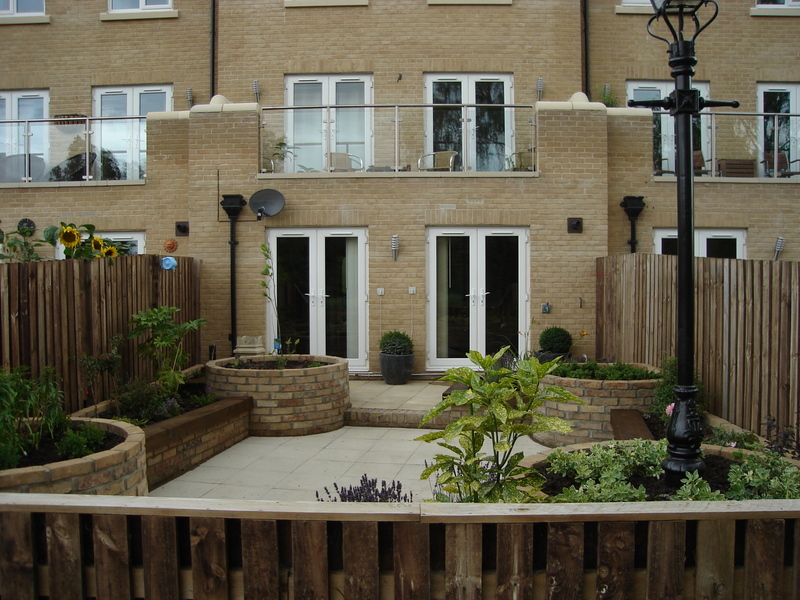 For this riverside garden the clients asked that the design should feature a large central entertaining space where they could seat the whole family, and guests for meals. They wanted raised beds for ease on maintenance and absolutely no grass. The rest was up to us to come up with a garden design that would still look attractive despite being mostly paved. The real danger with so much hard surface is that the garden could end up looking like a very dull yard. To overcome this we designed in round turrets at each corner to break up the raised beds, and added stained timber sleepers to top off the low walls for a softer appearance and to add some warmth to the hardscape. For our final trick we slightly skewed the whole thing so that the beds would have some variation of depth to the planting. 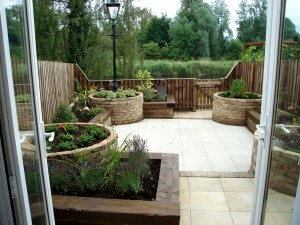 The result is an open garden with clear views through to the river and wetland beyond. The strong lines, varying levels and material textures come together to create a simple but striking garden.